If you missed Part 1 go here to read that first. I'll wait! With Rachel waiting for the boats! We made our way over the pedestrian bridge which was literally swaying in the wind. Not fun considering hundreds of people were packed onto it. We finally made our way to the river and we waited. . . and waited. . . and waited. We couldn't believe how long it was taking the boats to get there. We need they hadn't come and gone b/c there were a ton of people waiting! There was a group of people in their boats waiting in the river. They had a great view! There were people lining the river on boats sides and on the bridges! 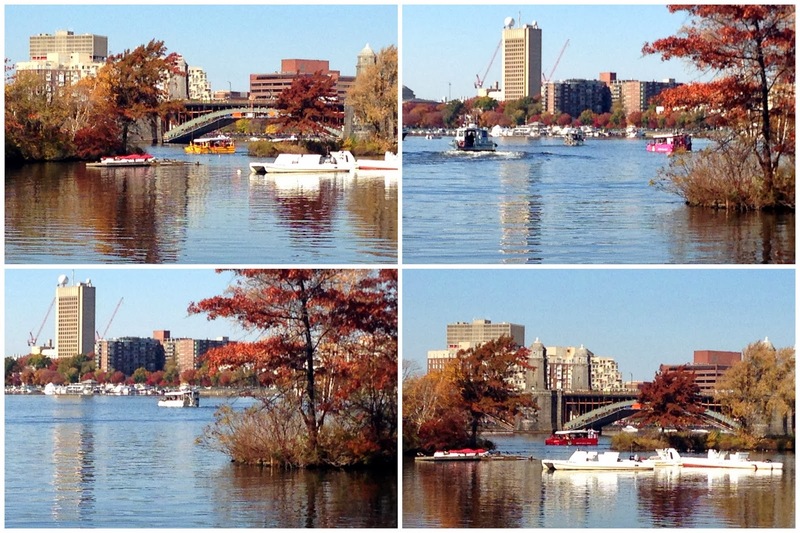 The boats were out in the middle of the river so hard to see but here are a few pictures I took as they were going by. At this point we were all SO thirsty. As I mentioned it was an unusually warm day and we had been walking a lot. We decided to take off and go find lunch and drinks!! This is my favorite picture I've taken in a long time. I took it on my iPhone! So pretty!!! We had a nice lunch at 5 Napkins (I've never heard of it but it was good and no wait unlike every other restaurant in Back Bay)!!! On my walk back to the T I noticed that even the North Face manikins were sporting beards! Ha! Can you believe how many people were there!? Jonny Gomes put the World Series trophy and a 617 Red Sox shirt on the marathon finish line during the ceremony. I love this view. It would be pretty cook to be watching it from an apartment or office high up. I can't even believe all the people that were in Copley. I'm somewhere in that pic! Even the duck boats had beards!!! 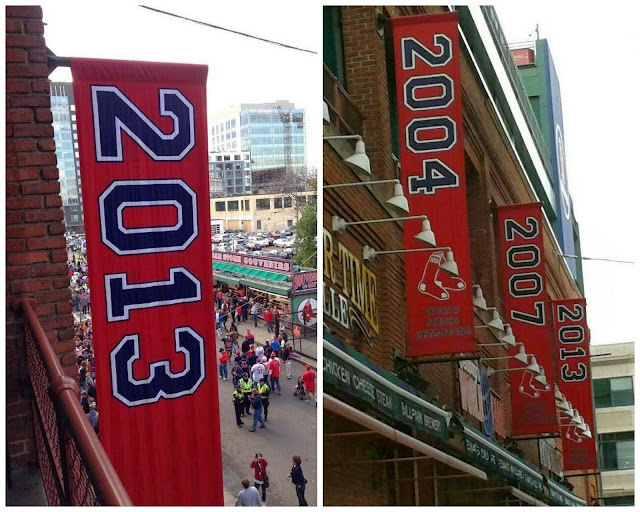 Back at Fenway Park no time was wasted with getting the newest banner hung. 2013 looks good! It was a really fun day. I'm glad I went and I'm glad the weather was so nice b/c let's face even a big fan like me isn't going to stay outside in freezing cold weather! Just a few months off and then it will be time for spring training!!! The Boston Strong shirt on the trophy at the finish line. I can't take it. Love it. The trees look amazing! So gorgeous! Sounds like such a fun time. Wow, those aerial views are amazing. So many people! 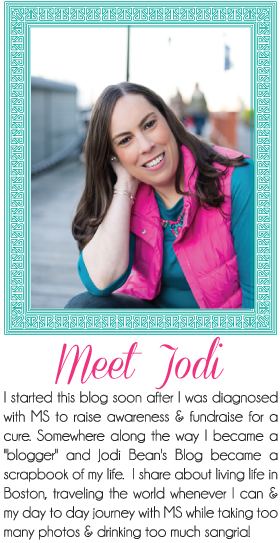 I'm so glad you got to participate and share it with us! Can't believe that was an iphone pic of the trees. So pretty! The finish line, just can't see it without tearing up!